War Child charity has raised $500,000 since the DLC went live. 11 bit Studios has been quite busy with its publishing efforts, not to mention releasing the excellent survival city-builder Frostpunk. However, the company is still best known for This War of Mine, a survival title that takes inspiration from the Siege of Sarajevo of the Bosnian War. It’s four years old at this point, and the developers have announced that the title has managed to sell 4.5 million copies since launch. Even more important is that the developer has raised $500,000 for the War Child charity. Proceeds from the War Child Charity DLC, which contained street art from numerous artists for the game, was donated to the charity. It’s a monumental effort to be sure, and 11 bit Studios’ continued support is worth making note of. 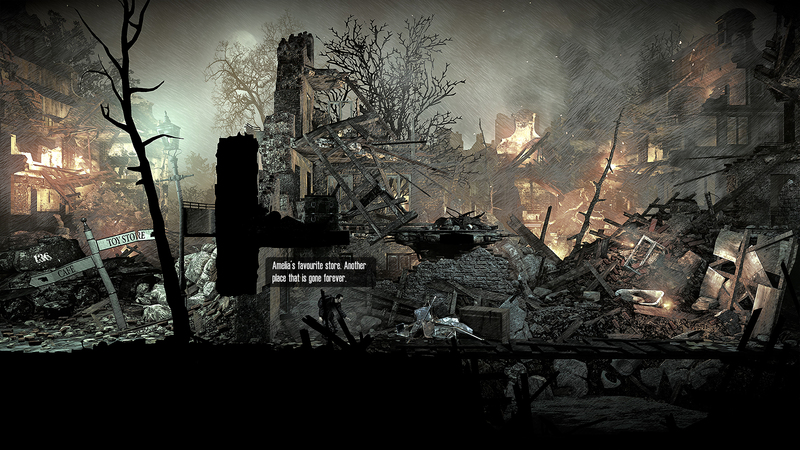 This War of Mine has seen numerous updates and DLC since releasing. Its Stories Season Pass has added two new scenarios to the game with Father’s Promise and The Last Broadcast. A third DLC scenario is also on the way. This War of Mine also recently launched for the Nintendo Switch.